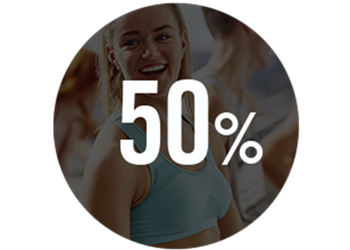 Fitnessstudios verlieren jährlich 50% der Mitglieder. Erfahren Sie, warum eine Steigerung der Mitgliedszahlen immer schwieriger wird. Your own personal Success Consultant who will support you to plan and host successful program launches. 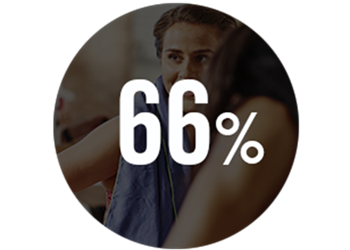 You will receive a full launch kit to help you successfully launch and promote your new group fitness programs into your club. We help get you up and running with a marketing start-up kit, including acquisition and retention tools and 24/7 access to our library of world-leading marketing resources. You'll have unlimited access to all of our latest marketing materials including quarterly release posters, the latest brand imagery for each program, social media assets and videos. You can download it all with the click of a button. LES MILLS™ programs encompass a wide range of exercise genres, including HIIT, youth and virtual programming solutions – you'll find something to inspire, engage and motivate your members whatever their age, interests or goals..
We work with over 130,000 instructors around the world and pride ourselves on their passion, enthusiasm, professionalism and infectious inspiration. Simply give us your contact details and one of our specialized consultants will get in touch to start your journey towards success.